CymaSpace seeks part-time event coordinator. Performing Arts nonprofit seeks event coordinator. CymaSpace, a young but fast growing non-profit based in SE Portland is looking to hire a paid part-time freelance event coordinator. Our mission is to make performing arts more accessible & inclusive to the Deaf & Hard of Hearing through Technology, Education & Outreach. Take a moment to learn more about our work and mission at cymaspace.org. If you have experience managing and coordinating arts/community/nonprofit events, and the idea of working with the cutting-edge intersection of arts, accessibility and technology in an inclusive, Deaf-friendly environment excites you, stop what you are doing and contact us! Work directly with Board President to coordinate a monthly Arts & Accessibility showcase event. Act as main liason and point of contact for performers, ASL interpreters, engineers and event staff. Coordinate with digital/print designers to create promotion materials. Update wordpress-based website, create Facebook events and set-up event ticketing via Brown Paper Tickets. Interest in nonprofit and charity work (especially in the arts and/or Deaf community). Excellent project management, communication, organization and time-keeping skills (Managing grants and projects in Google Documents/Spreadsheets and keeping track of hours worked). Fluency in ASL (American Sign Language) & familiarity with Deaf Culture. 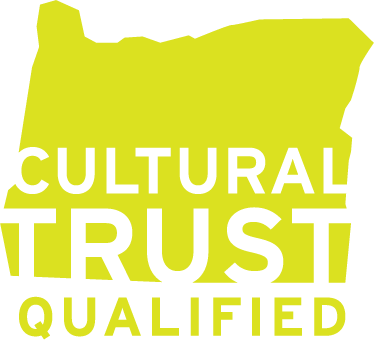 Pro-active support of local arts and culture in Portland, OR. Send your resume, a brief introduction about why you would be a suitable candidate along with samples of prior marketing work to recruitment@cymaspace.org.